Just a few weeks ago Khloe Kardashian officially announced that she was expecting a baby with her boyfriend Tristan Thompson. Rumours regarding her pregnancy have been rampant for a few months so many fans were absolutely ecstatic to have theories confirmed via a touching Instagram post. Khloe has been seen out and about more often since she confirmed the pregnancy and she has also opted to do more appearances. The glowing reality TV star recently appeared on Ellen Degeneres and as always, Ellen made sure to ask the questions we have all been dying to ask. Khloe spoke about her first trimester being the hardest and the most uncomfortable. Women usually choose to keep their pregnancy a secret throughout the course of the first trimester because most can go wrong with the baby and mother during that time. It seems like Khloe opted to do the same. After she announced her pregnancy to her loved ones it became easier for her because then she had a legitimate excuse when she was sick or tired. Khloe Kardashian has FINALLY confirmed her pregnancy! 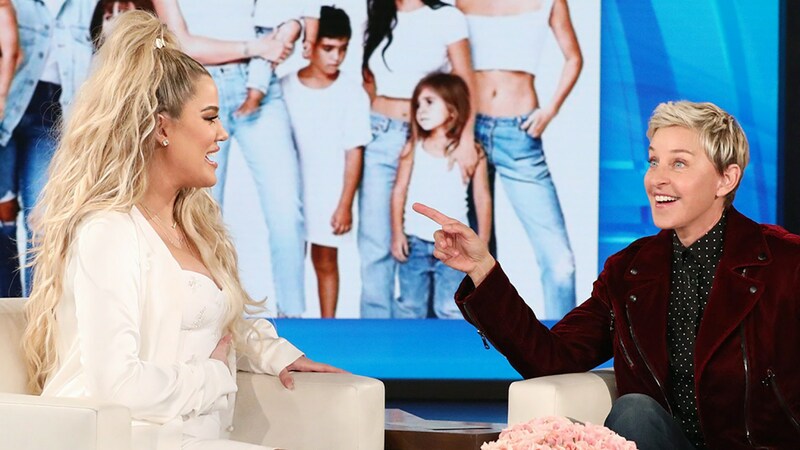 Ellen commented on Khloe’s tight attire on the show and also on other occasions. She revealed that she’s going to try and not wear maternity clothing for as long as possible. Khloe and Tristan currently don’t know the gender of the baby but they have said that they will find out before the baby is born. Ellen asked why Khloe decided to announce the big news on Instagram and her reply (like her post) was touching. Khloe revealed that she wanted to make the announcement on her terms and in her time. It’s no secret that she’s wanted to have a child for a long time so it definitely makes sense that she wanted to treasure that magical time. For more laughs, click here.